Klein Tools Insulated cable/lineman's skinning knife features 2-1/4-Inch long tough, tempered steel blade designed to use for cable scoring and cutting. 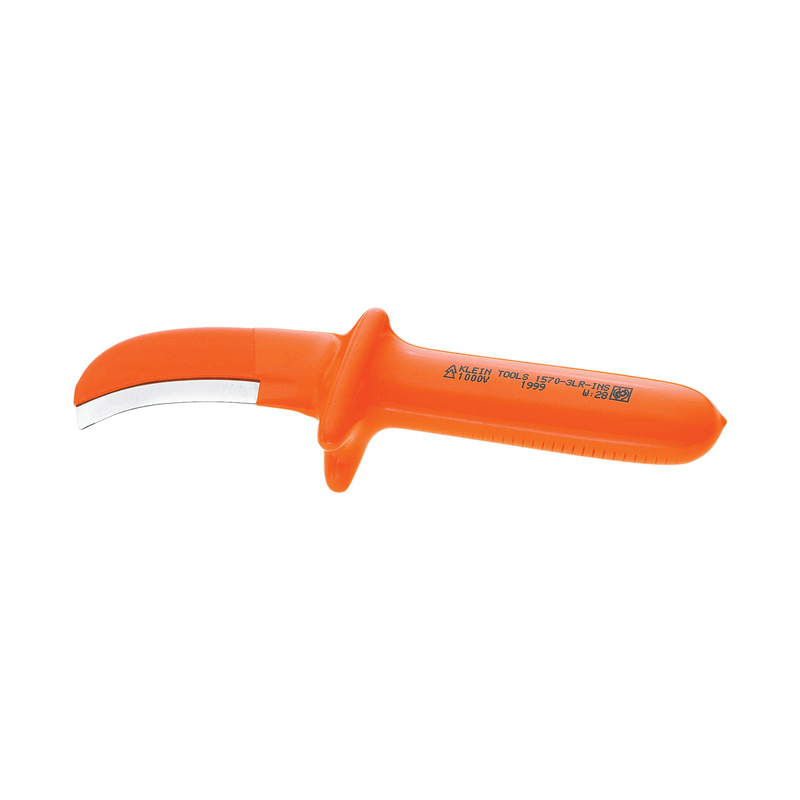 The high-dielectric plastic made handle in orange color, offers a firm and comfortable grip. The two layers of insulation ensure protection against electric shock.